Loving the latest Scandi trend of wood paneling and want to try it in your home? 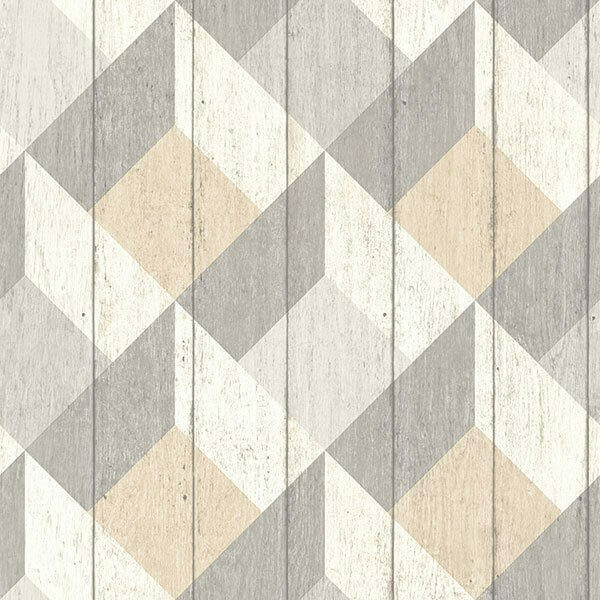 Then give this geometric Scandi wood paneling effect wallpaper a try! Designed to give an effective 3D effect with realistic wood detailing this is an incredibly cost effective and quick way of transforming your home! Extra washable and easy to apply, this paper is ideal for kitchens or communal rooms with its light and on trend colours brightening up any space!